Pretty cool picture right? 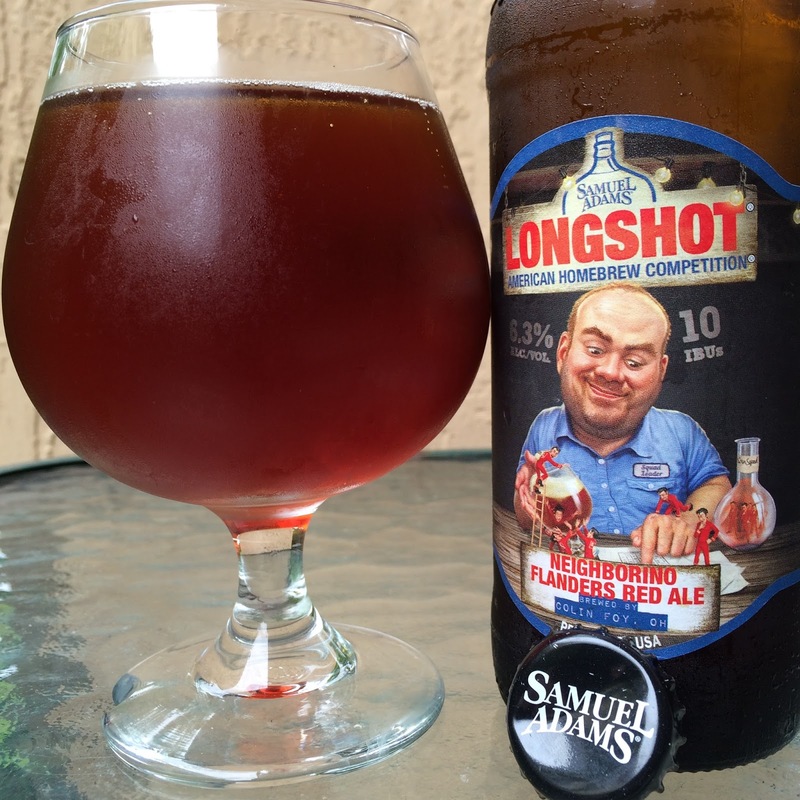 Colin Foy put his Neighborino Flanders Red Ale together for a winning entry into this 2015 Samuel Adams Longshot competition winner. Colin blended younger beer with barrel-aged beer and introduced Brettanomyces and Lactobacillus to create this beer. 6.3% alcohol. 10 IBU. Fruity, lightly tart aroma. Similar start with some fruity orange sweetness paired with cherry tartness. Vinegary, acidic, woody, a little dry. Chewy body. Flavors are OK. Pretty tame for the style -- I wanted a little more sour tart sharpness and bite, even as a non-sour lover. Pretty much what I expected though: a beer that probably barely stepped out of the comfort area of Sam Adams drinkers. Not bad.